There are quite a large number of unique, interesting, fashionable, practical, simple and complicated bottle openers in the world today, and as any self-respecting beer lover knows, it’s a tool that gets a lot of use and also says a lot about what kind of person you are. 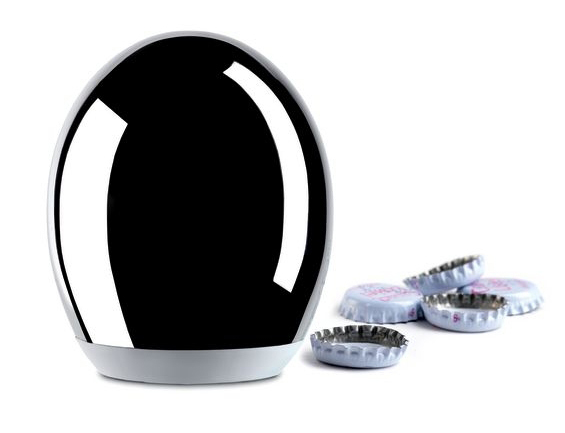 So if you’re tired of being the kind of person who opens his bottle with his teeth or your coffee table edge has lost its structural integrity, take a look at this stylish and unique Pop-Up Bottle Cap Remover from Alessi($50). Designed using an ingenious combination of suction and magnets, you simply push the device down over your beer until you hear a POP, then pull UP.